The Latin text is taken from from Virgil, Aeneid, VI: 60: where Phlegyas, who ferries the dead over the River Styx, warns, “Discite iustitiam moniti et non temnere divos” (“Be warned, learn justice, and do not despise the gods”). 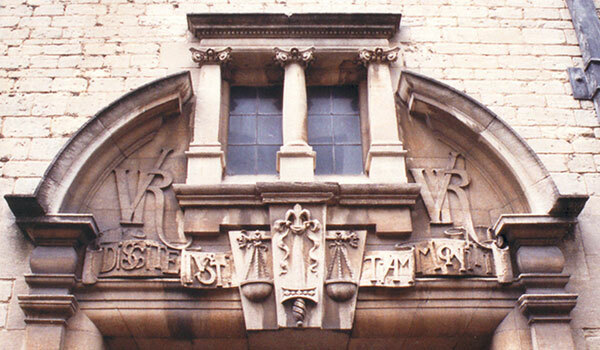 The inscription is over the entrance to the former Law Court in Blue Boar Street at the side of the present Town Hall (opened 1897). In Victorian times the Mayor of Oxford was also the chief magistrate, presiding at quarter sessions and attending the city's courts.